Sometimes the best times take off slowly. Just a regular day, nothing too rambunctious rarified. Then there is a catalyst, an ignition if you will… dare I say… a Spark! The Alpinestars Spark Jacket is a fashion forward moto jacket that is constructed from a combination of a super plush softshell outer bonded to a windproof membrane and an internal mesh liner. This combination affords the jacket a super lightweight and comfortable quality for those quick trips around town. Though it is not geared for long treks at highway speeds, the CE approved armor at the shoulders and elbows does provide a level of impact resistance should you take a tumble. There is even a compartment for an upgradable back protector should you choose. 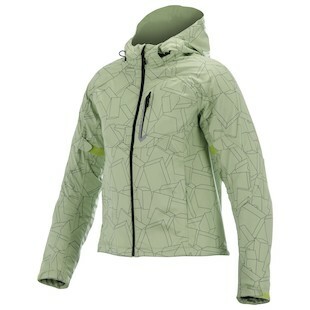 There is also a women’s version of the jacket that can be found in the Alpinestars Stella Spark Jacket. 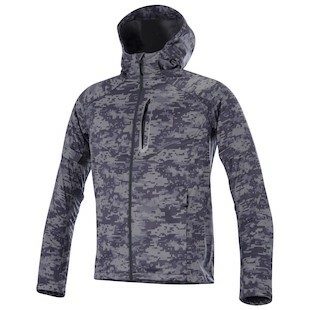 With options of either Black/Pink or Green/Black, this jacket has all of the features as the men’s version, yet with the cut for the female figure in mind. With CE armor that is secured tightly though mesh pockets for maximum airflow, Velcro adjusters at the sleeves for improved fit, and ventilation zippers in the underarm to allow for increased ventilation, this is a solid option for the scooter and around town crowd. Riding around the city can sometimes be a drag. Stop lights, congested roads, and not a whole lot of parking (here’s talking to you Philadelphia!) can make it like “eh”. For times like this it helps if you have a Spark to reinvigorate your ride.